Front horizontal stitching design, two interior business card pockets and vinyl pen loop. Includes 8-1/2w x 11h writing pad. Interior slip pocket. Business card pocket. Textured top cover. 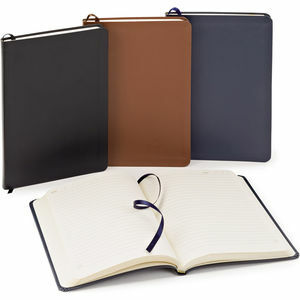 Includes 8-1/2w x 11h writing pad.